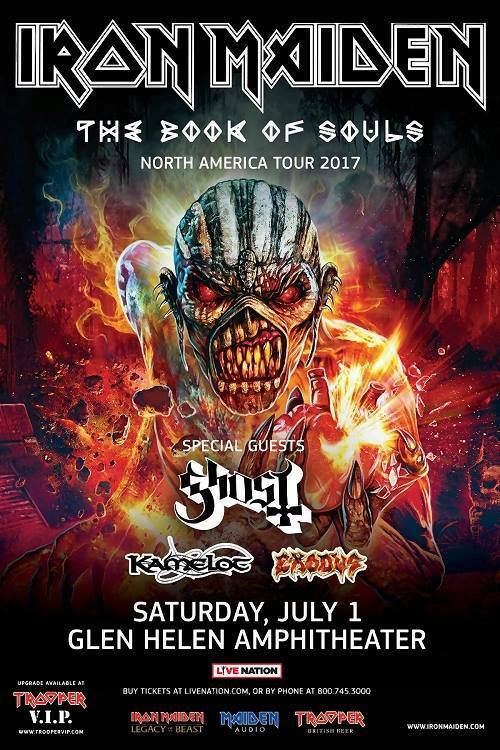 Iron Maiden is set to return to Southern California this Saturday July 1st for a gig at Glen Helen Amphitheater in San Bernardino, along with Ghost, Kamelot and Exodus. As the excitement among ticket holders is at its peak, so is the curiosity surrounding the show schedule and set times. Here is the schedule for the show, as posted by the venue. See you there!